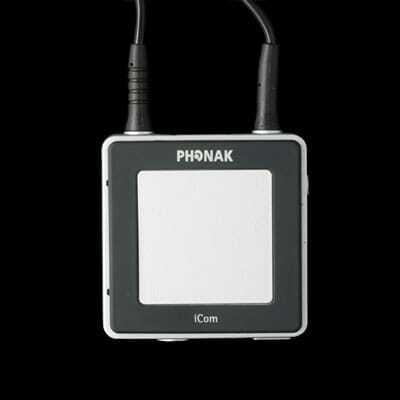 Precise Hearing has replaced this with the Phonak ComPilot II. to Bluetooth enabled/adapted devices as well as cable and FM connections. Please note that if you purchase the iCom separately Precise Hearing will need you to send in your hearing aids so that they can be programmed to work with your new iCom. Couple the Phonak iCom with the iCom/uDirect TV Package which includes the Voiis Stereo system to enjoy the convenience of wireless Bluetooth technology with your TV.